Justin Graceffa sustained a spinal cord injury in August 2007. 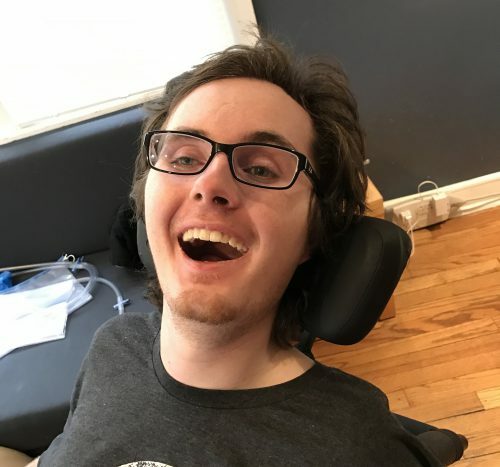 He began living with quadriplegia, and he started fundraising for medical and related expenses one year later as a part of the Northeast Catastrophic Injury Fund. Now 31, Justin is working out the best fundraising strategies to help him participate in an epidural stimulation clinical trial at the University of Louisville in Kentucky. The trial will require him to live onsite for up to two years. 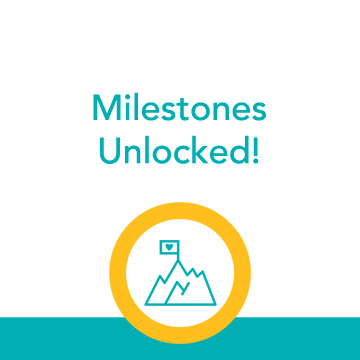 Justin announced a major milestone in May: he graduated from Berklee College of Music with a bachelor of professional studies in music business. At age 23, Nick Nigro was preparing to head to work as usual. He told his mother he was feeling tired and unwell. Moments later, Nick went into cardiac arrest. He had contracted the West Nile virus. He had suffered an anoxic brain injury by the time he got to the hospital. His family fundraises as part of the North-Central Catastrophic Illness Fund. Wife and mother Kim Hally was at her son’s lacrosse game in 2013 when she suddenly experienced a stroke. Initially paralyzed from the neck down, Kim and her family fought back hard, and Kim was able to reclaim some of her mobility. Fundraising as a part of the Northeast Catastrophic Injury Fund has helped the Hally family cover home modifications, medications, and 24/7 caregiving. Kim and family incorporate both humor and gratitude into their efforts, as their videos show. 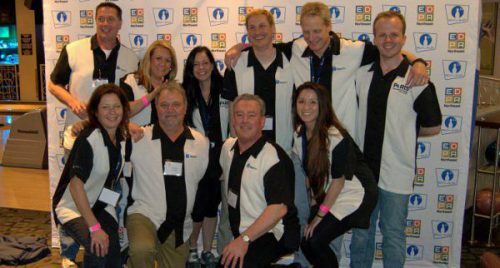 Most recently, Help Hope Live in honor of Kim Hally was selected as the beneficiary of a Rally at the Alley fundraiser. The event was highly successful, raising $16,500. Kim’s husband shared the joyful news that following Kim’s 5-year injury anniversary, she will finally be able to live at home with her family instead of in a low-term care facility. 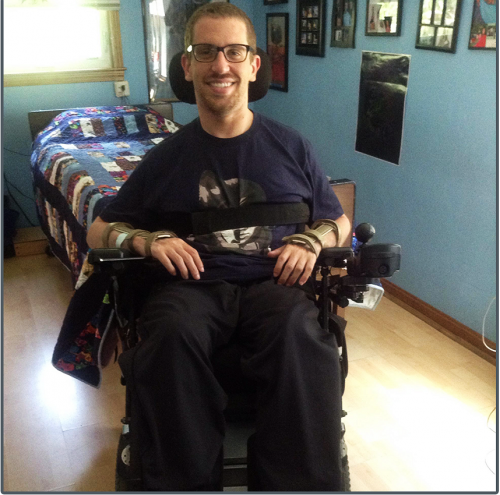 Paul M Buckman has been living with quadriplegia since a horrific fall in his own bedroom. 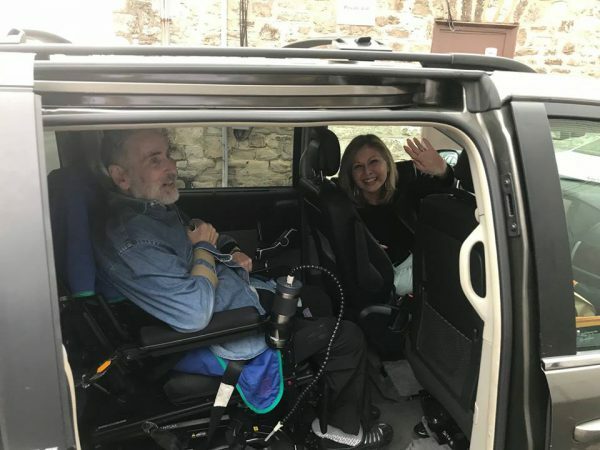 Paul and his family just smashed through their initial $25,000 fundraising goal and were able to purchase an accessible van for Paul as a part of the Mid-Atlantic Catastrophic Injury Fund. Talented jazz musician Diane Ellis has literally made strides since a stroke during a musical performance left her unable to walk with paralysis of her left side. Fundraising as part of the North-Central Catastrophic Illness Fund had helped Diane to achieve major milestones this spring, including swaying to music, sitting unassisted, and taking steps through physical therapy at the Shirley Ryan AbilityLab.